With this kit, students test water samples the same way analysts in the fields do. This kit is designed for an analyst to perform a simple colorimetric test to determine the nitrite and nitrate concentrations of fresh water samples. The reaction yields an easily identifiable color transition that students can compare with the colors on the color chart to determine the concentrations. Identified nitrite and nitrate values are 0.0, 0.25, 0.5, 1.0, 2.0, 4.0, 6.0, 8.0, and 10.0 ppm. 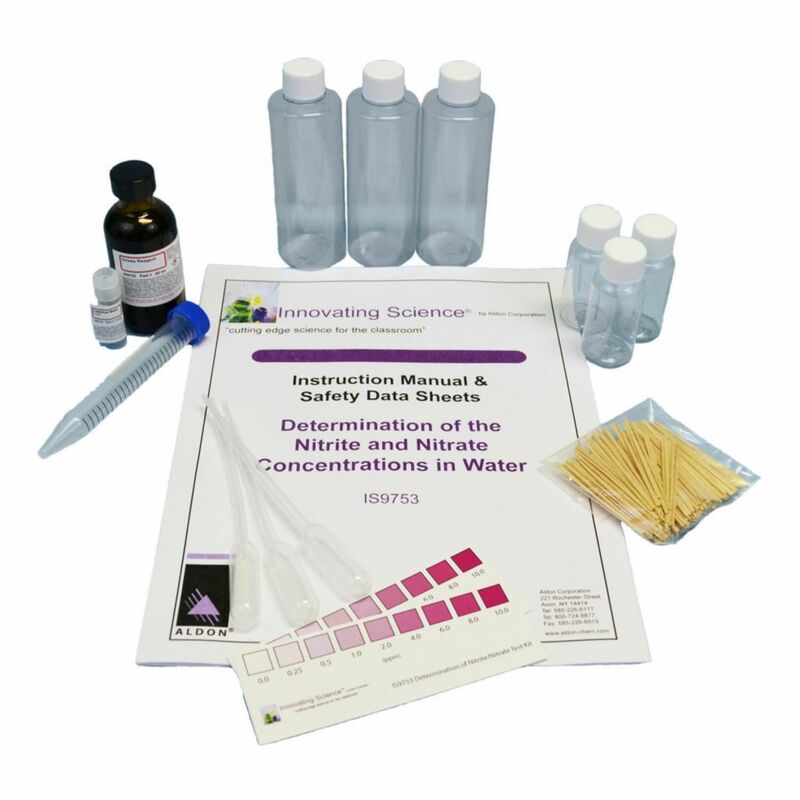 This kit contains everything an analyst would need to perform a water test in a laboratory setting or out in the field. Ordering information: This kit includes a griess reagent, cadmium metal powder, plastic pipettes, a reaction vessel, a collection bottle, a measuring tube, wooden dowels, nitrate, and a nitrate color chart.